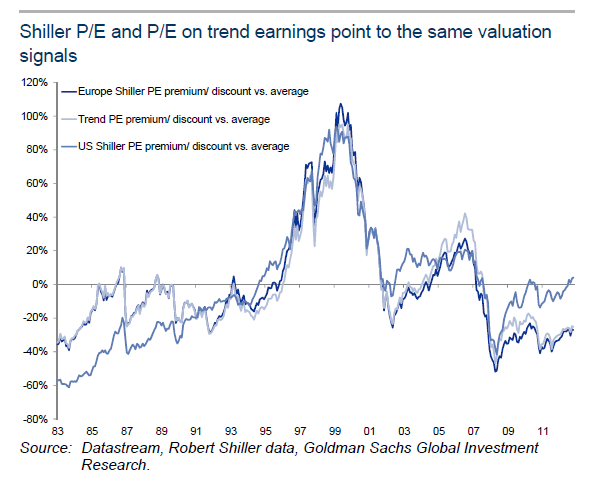 European cyclically adjusted P/E (Shiller P/E) is still 30 % below its long term average. 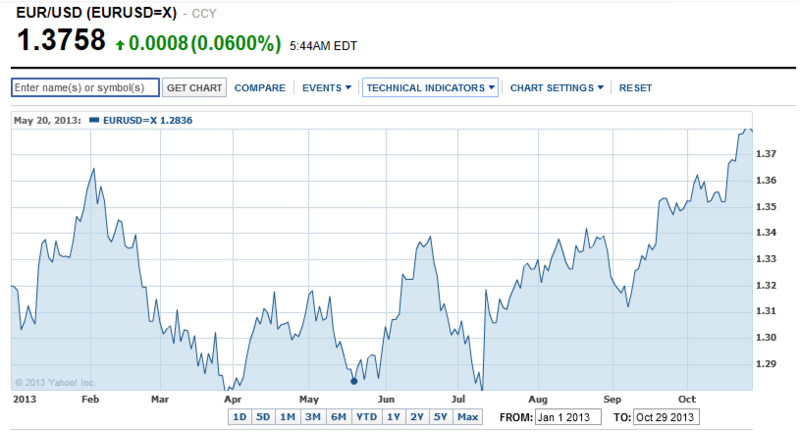 US market is at or slightly above its long term average. 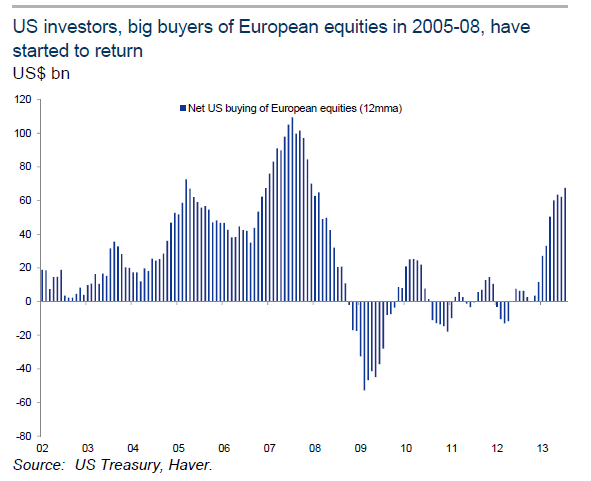 This is the argument for buying European equities right now (over US ones). 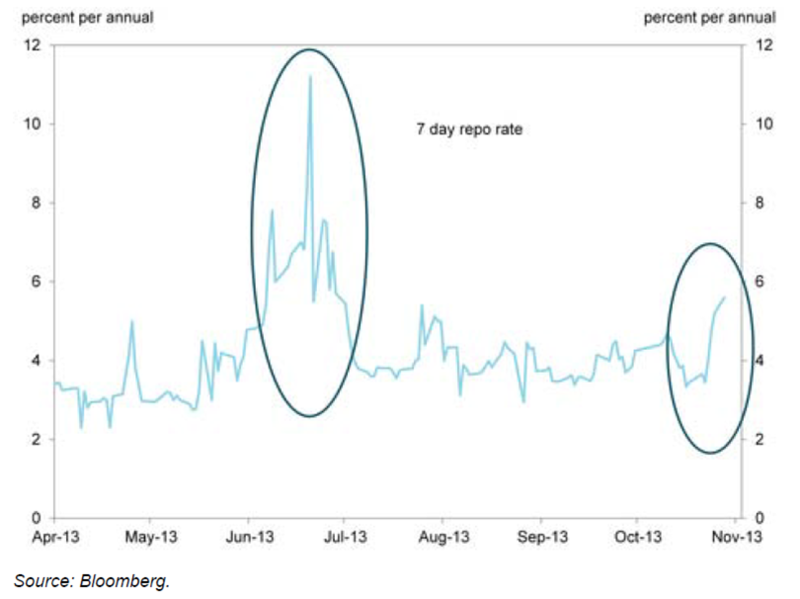 And US buyers have started to return. It all comes down to one assumption, that the problems in Europe are actually solved. 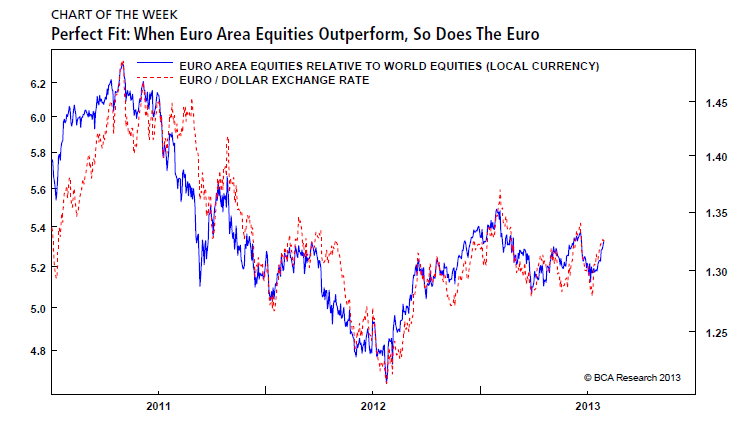 At end of last week, EUR became best performing currency year to date. In trade-weighted terms, the EUR has rallied by 5.8 % this year, versus 5.5 % for the CNY and less than 2 % for the trade-weighted USD. 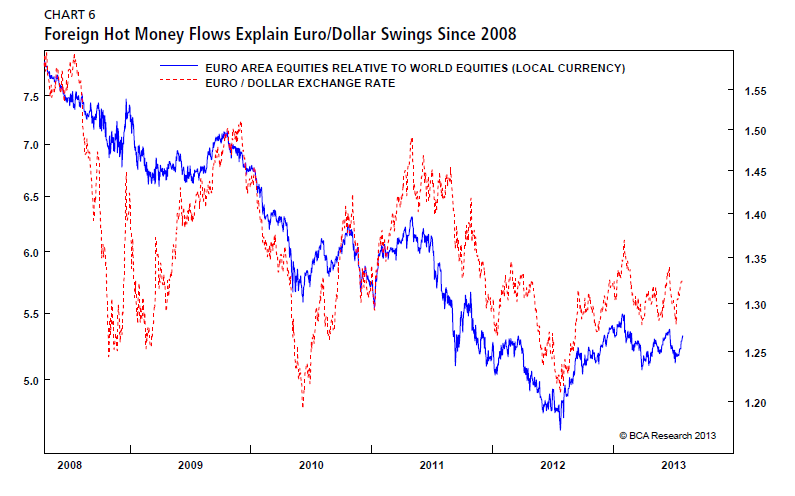 Historically, hot money capital flows has been the best explanation for swings in EUR/USD. 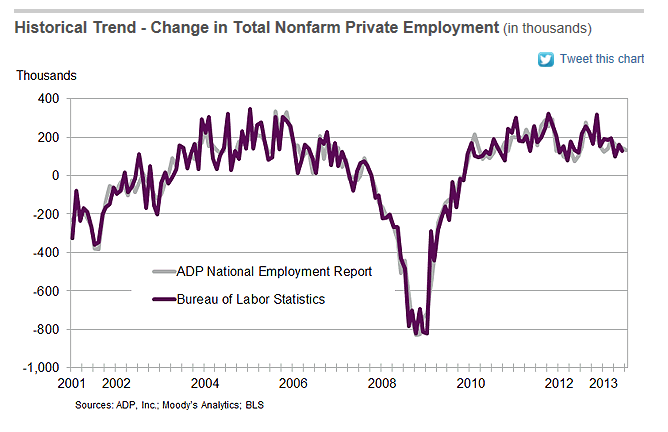 The report estimated that the private sector added 130,000 workers to private payrolls this month, below economists’ consensus estimate for 150,000. 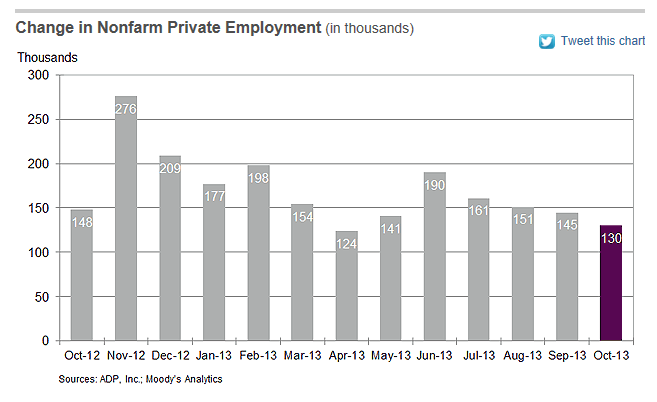 September private payroll growth was revised down to 145,000 from 166,000. 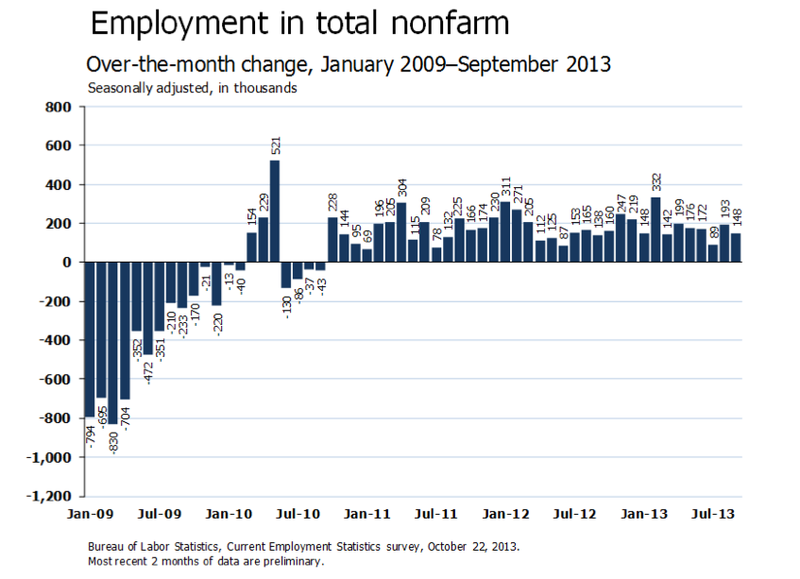 The October number is the lowest since May. 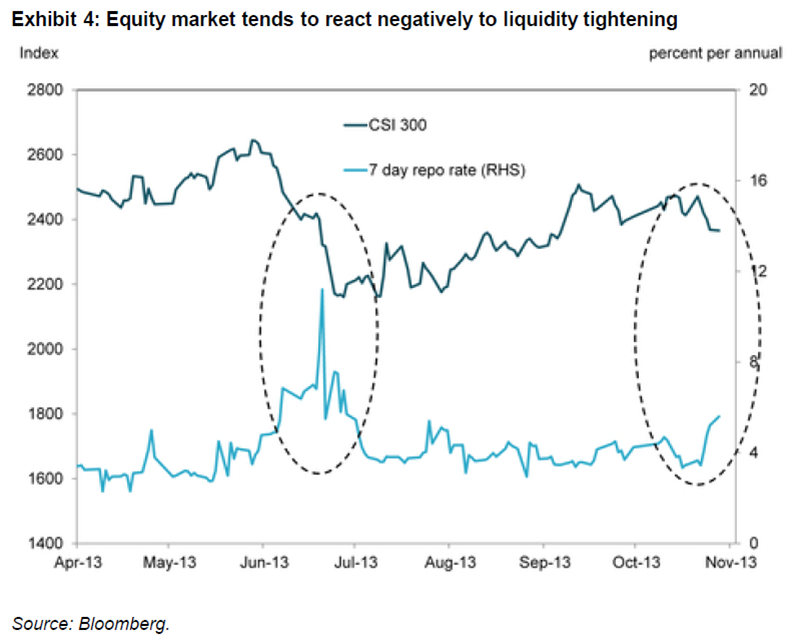 “Our GLI looks to have entered Slowdown phase last month – historically, in this phase of cycle, equities returns are positive but subdued with bias towards “low beta,” less cyclical industries. Weisberger cont’d: Equity performance since the onset of the still nascent Slowdown has been quite vigorous, perhaps influenced by a sharp decline in yields. 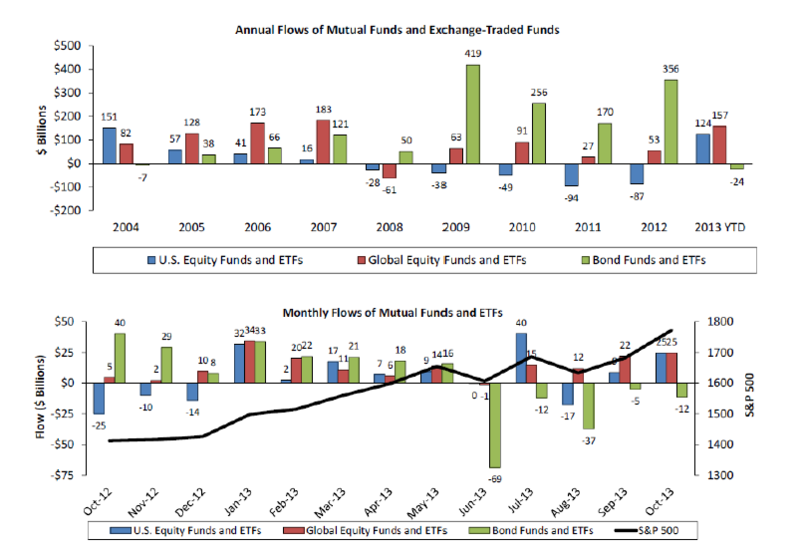 For example, over the last month the SP 500 is up nearly 5% whereas in a typical Slowdown – which lasts a full seven months – the return is around 3%. 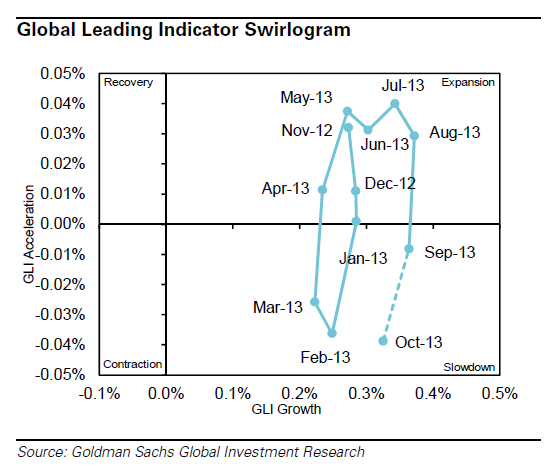 Robust start to Slowdown phase comes after fairly moderate market run during preceding Expansion phase, which lasted from April to September. During that period, equity performance was positive, but not on par with the historical average for the Expansion phase. Just like the tailwind currently is probably rate relief, the headwind then was probably the rate selloff, which also exceeded historical norms for Expansion. 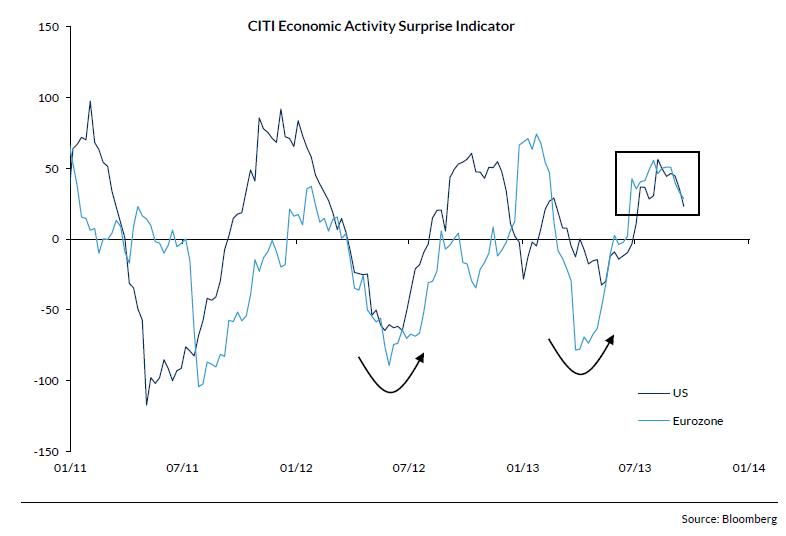 Once again, the Citigroup Economic Surprise Index has topped out and is now falling instead. 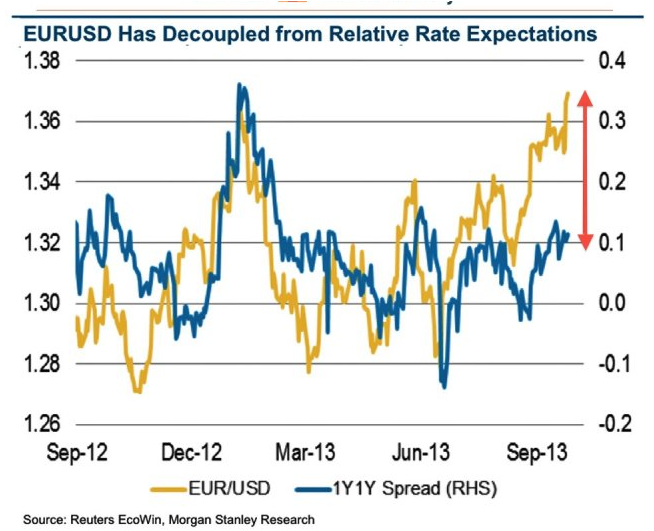 The chart below, which was released recently is already obsolete. The index now sits at 5.4, and is close to going negative. Well below the 53.3 reading registered on the first day of the month.